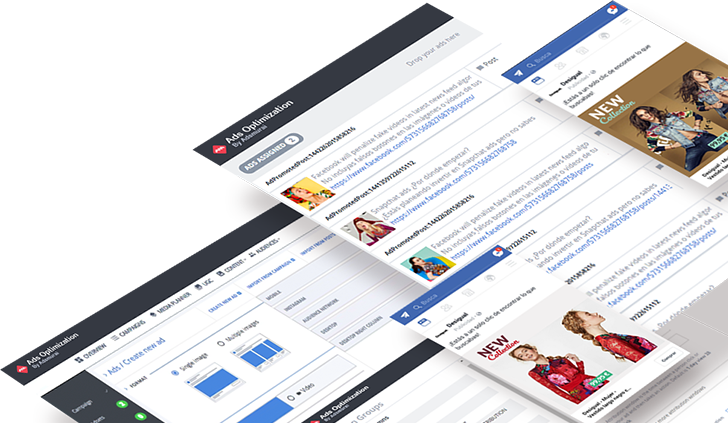 Scale and automate your Facebook & Instagram advertising campaigns. Maximum efficiency for optimal results. Are you interested in what you read? Get in touch and we'll do a customised proposal for you. 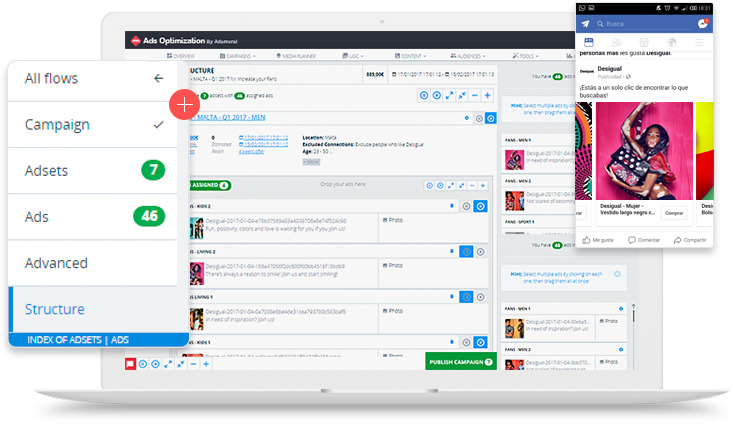 Create your campaigns in a quick and visual manner, with unique configuration options and automation of targeting, advertisements and investment. Signals and alarms to warn you when you deviate from the path; these are some of the campaign control and measurement tools. 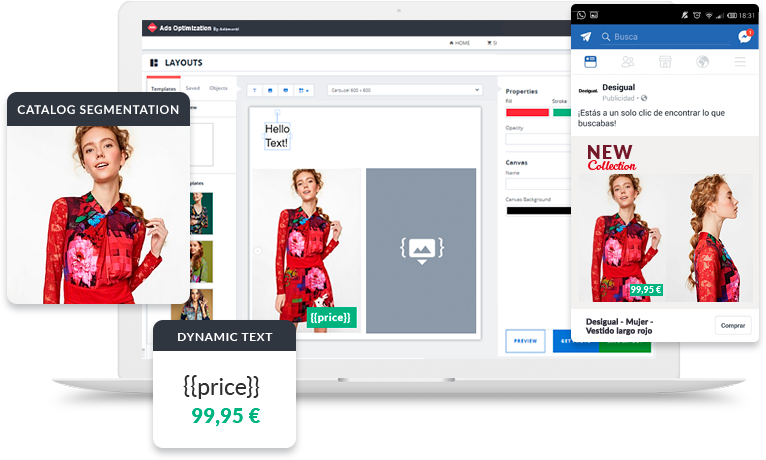 Relevant and more effective Ads with Feed Composer: upload your list of products, segment them as you prefer, automatically personalise your images. You will stand out above the rest. 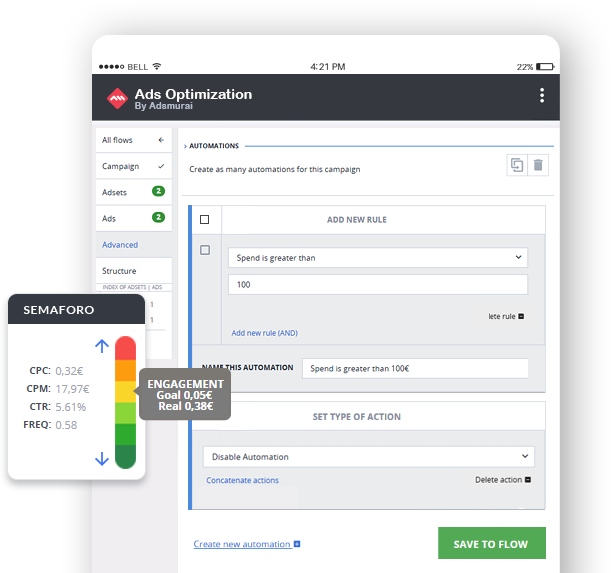 Select and filter the most relevant data according to your campaign's goal. Choose the dates, display, export and send the results. Bird's eye campaigns control panel. An ideal simplified display for executives. 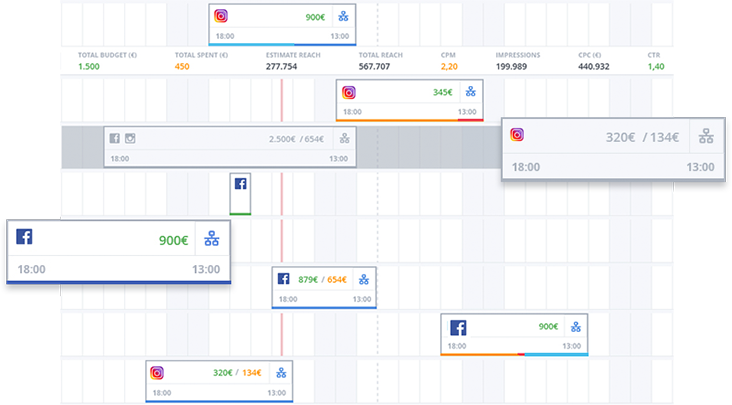 We have developed a set of tools for optimizing ads on Facebook and Instagram. For agencies, as well as small and large companies. Work on a small or large scale without investing more time from the account. Tools and panels that are easy to understand and can be used by everyone. Intelligent options to monitor and control results. Permanently incorporating features to offer every new product and beta. 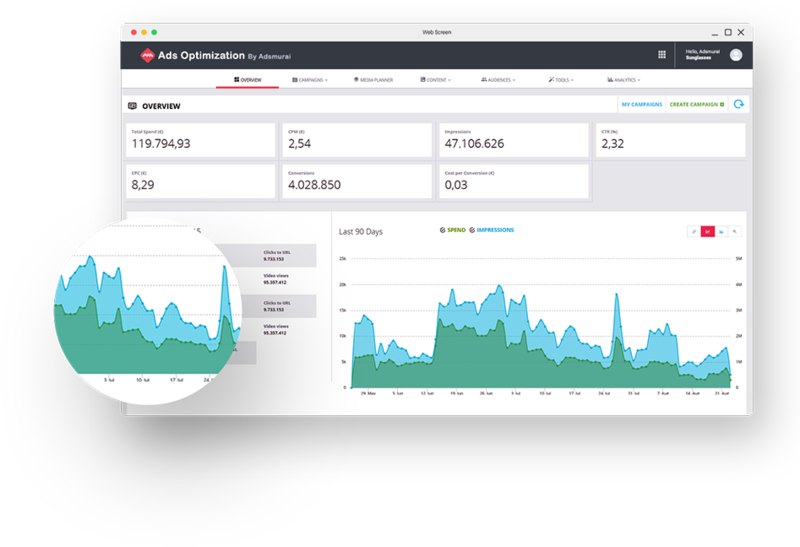 See everything that Feed Composer allows you to do to further optimize your dynamic ad results.